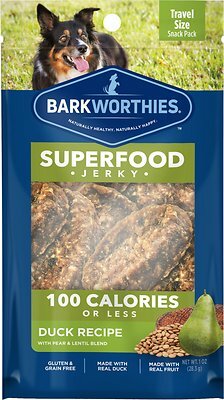 Barkworthies Duck Jerky Recipe with Pear & Lentils Blend Dog Treats are the perfect on-the-go snack for your pal. At just 100 calories per serving, this jerky is made with high-quality protein from real duck and healthy superfoods including pear and lentils. Plus, they can be used as a tasty training treat. 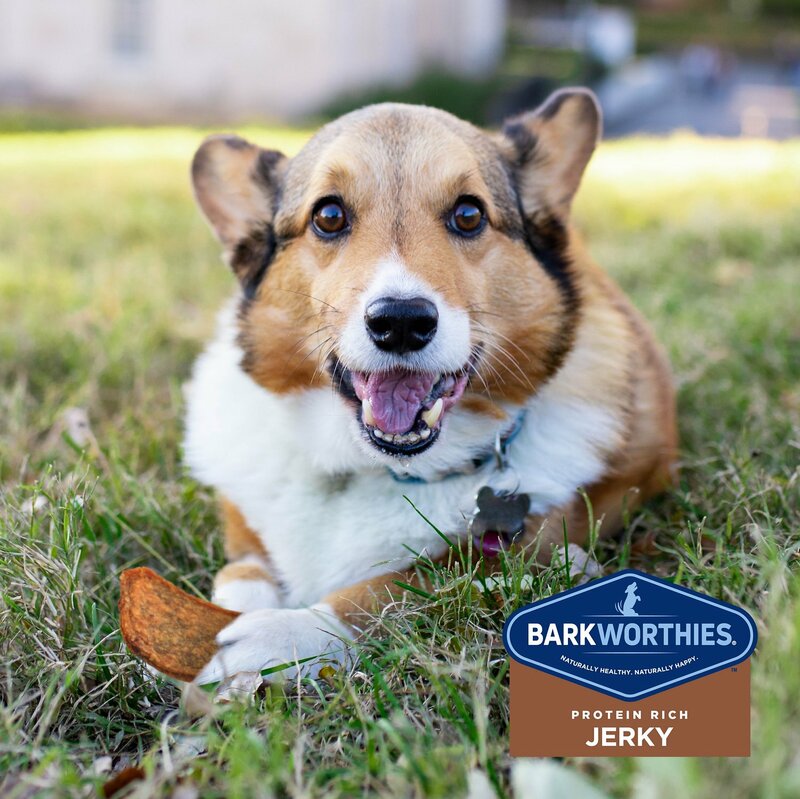 Barkworthies duck jerky combines convenience, mouthwatering flavor and nutrition all in one easy snack your dog will love! 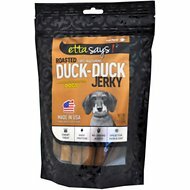 All-natural dog treats are made with real duck, pear and lentils. Portioned in 100 calorie servings for ultimate convenience. Barkworthies jerky serves as a delicious and nutritious on-the-go snack. Grain-free, rawhide-free and perfect for adult dogs on a limited ingredient diet. 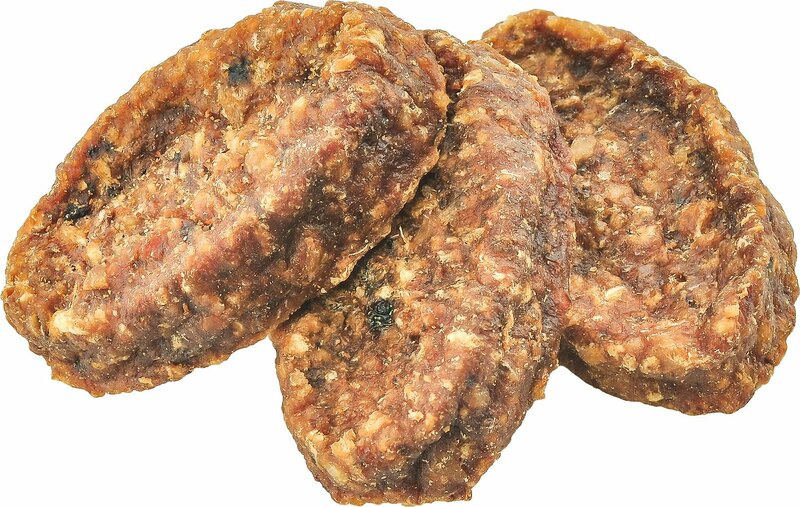 These jerky treats are perfectly-sized for a tasty training reward. Cocoa is so picky that he turned down biscuit type treats. He turned down so much until I almost gave up on giving him treats at all. I finally found something he will eat as if it is the best thing ever. He eats these bite-sized treats and looks for more. 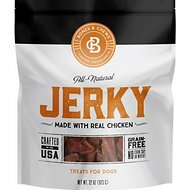 These jerky treats, the skin and coat chews, and Dentastix keep his teeth clean and his skin and coat healthy. Someone else bought this bone for him. Needless to say, I gave it to a much bigger dog. Though he tried to eat it. I just took the picture to show that the bone is bigger than he is. I removed one star because of quantity. I was expecting more.....more product. Bag states 100 calories, is that per bag of nine treats? Will not purchase again. See, buy, learn. Disappointed in myself for this impulse buy. Fyodor the cat had a small taste test he approved. Buddy the dog inhaled them. I'm certain he never tasted them.